Three bills were introduced at the Feb. 5 D.C. Council meeting that are aimed at increasing transparency in the city’s public housing authority and within the awarding of funds for the development of more affordable housing. One would revoke the D.C. Housing Authority’s status as an independent agency and place it under the jurisdiction of the mayor’s office and another would allow the council to appoint two members to the authority’s board. The third bill would mandate public reporting of who is awarded Housing Production Trust Fund grants and who else applied for the funding. The District of Columbia Housing Authority Amendment Act of 2019 was introduced by eight councilmembers, a majority, including Chairman Phil Mendelson. The legislation was referred to the Committee on Housing and Neighborhood Revitalization. Thomas Fazzini, a spokesperson for Ward 1 Councilmember Brianne Nadeau, who spearheaded the bill, wrote in a statement to Street Sense Media that the proposal was about increasing transparency within DCHA so it can better focus on its mission of housing those who need it. 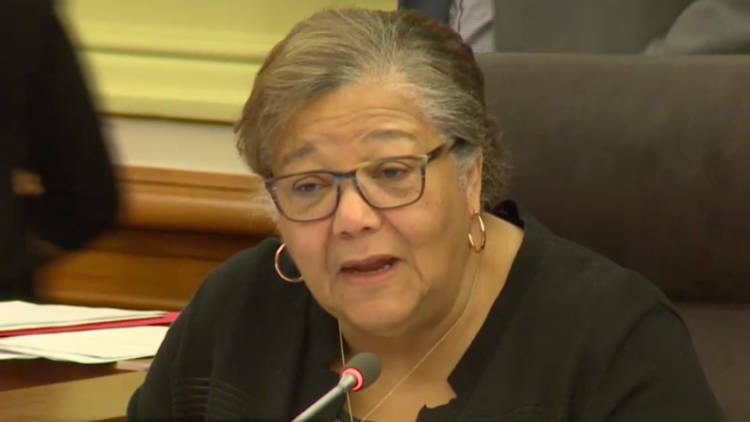 The Housing Authority Board of Commissioners Qualifications and Expansion Amendment Act of 2019, introduced by at-large Councilmember Anita Bonds, would allow the council to appoint two members to DCHA’s board, increasing its size from 11 to 13 members. The bill also adds the requirement that all members of the board have “knowledge of, and competence in” fields relating to public housing, development, or social services. The bill was sent to the Committee on Housing and Neighborhood Revitalization, chaired by Bonds. Christine Goodman, spokesperson for DCHA, wrote in an email to Street Sense Media that the housing authority is open to the dialogue that will take place around these proposals. “DCHA has identified capital needs within its portfolio and is vigorously working toward a strategy that will improve the quality of life for our residents. While this proposed legislation is still in the early stages, we welcome the opportunity for an open discussion with all stakeholders,” Goodman wrote. DCHA was first established by the District of Columbia Housing Authority Act of 1994 to replace the Department of Public and Assisted Housing, which was plagued by poor conditions and long waiting lists and was eventually placed under third-party receivership by court order. A Washington Post report on the court’s decision from August 1994 includes the figure that only 19 percent of public housing units passed quality standard inspections in 1992. At the same meeting, another piece of legislation aimed at increasing transparency was introduced, and would require the HPTF, which is managed by the Department of Housing and Community Development, to release information on the recipients of grants, as well as the others who applied for the funds. After deciding who would receive a grant, DHCD would have five days to publicly identify the other applicants, the proposed location of the project, the number of proposed units and the income levels the project would serve, and the funds awarded. They would also need to include the underwriting and prioritization scores, which are based on a number of factors relating to the necessity and feasibility of a project. Competitive underwriting and prioritization scores are not currently reported by DHCD when a grant is awarded. At-Large Councilmember Elissa Silverman introduced the bill. According to a press release on her website, Silverman hopes the bill will provide residents and District government a way to better assess where money is being spent. “The legislation ensures District residents have transparency about how significant tax dollars are being spent, improves accountability for the Department of Housing and Community Development, and helps developers, advocates, and the D.C. Council better understand the funding decisions being made,” the release says. 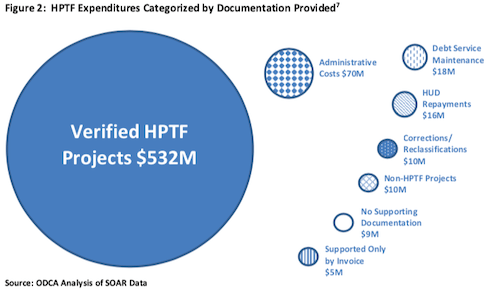 In March 2018, the Office of the District of Columbia Auditor released a report recommending stronger oversight of the Housing Production Trust Fund and finding a number of issues with the handling of HPTF money. “DHCD made inefficient use of the HPTF and federal funds by using uncertified developers, paying for ineligible activities, and lacking effective policies and procedures, which did not comply with HUD requirements,” the report says. Ashley Fox, a spokesperson for Silverman, said the bill was intended to be an “accountability measure” so that taxpayers could see where city funds were being spent and to generally increase the transparency of the HPTF process. Like the other two proposals, this bill was referred to the Committee on Housing and Neighborhood Revitalization to await a public hearing.